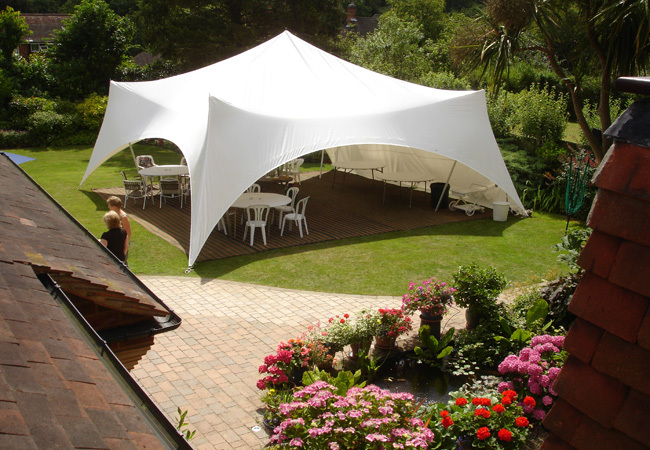 Matrix and Capri Party Marquees have a funky & spacious design which maximise the space while adding a simple elegance. 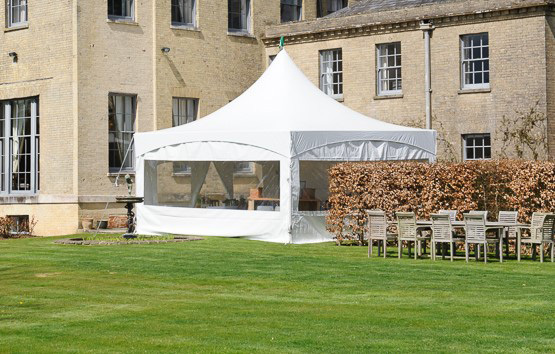 They are able to accommodate up to 120 people in the larger marquees and we can join them together for larger parties. 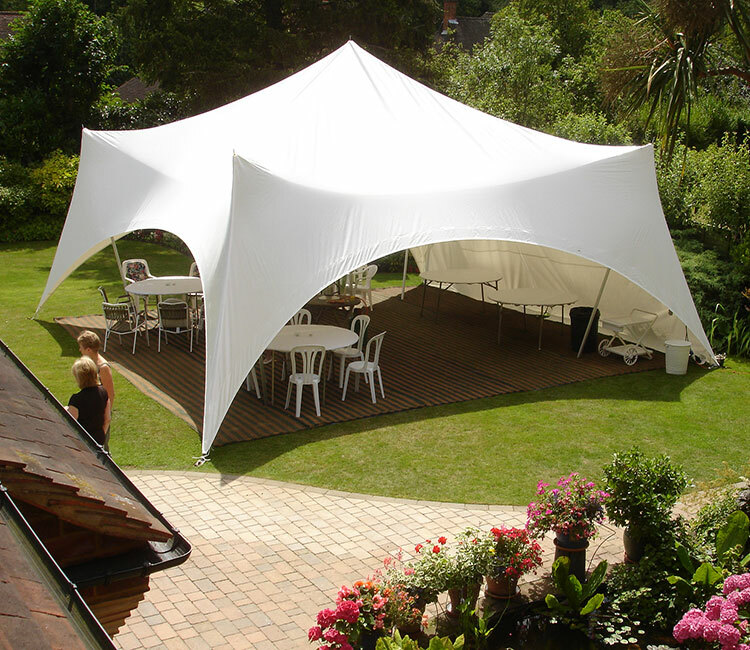 The unique design of the Matrix and Capri marquees make them spacious, while eliminating the need for linings and providing high scalloped ceilings which add to the feeling of space and style inside the Marquee. 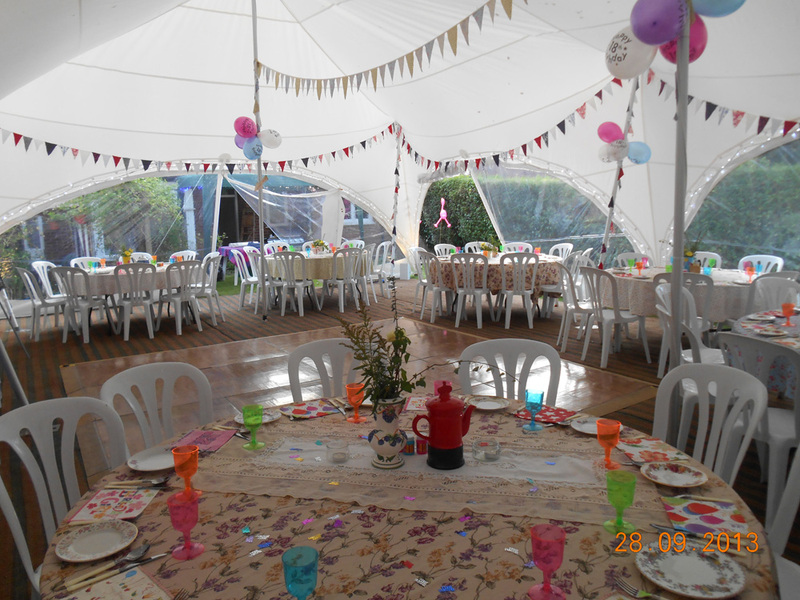 Party Package for 50 seated guest £870. 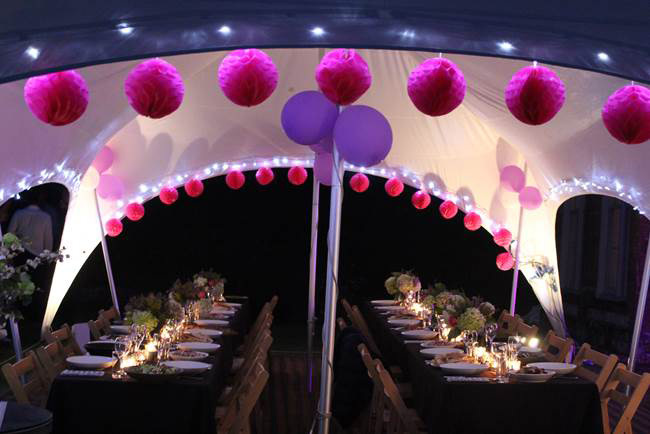 Example Party Package for 50 seated guest £870. 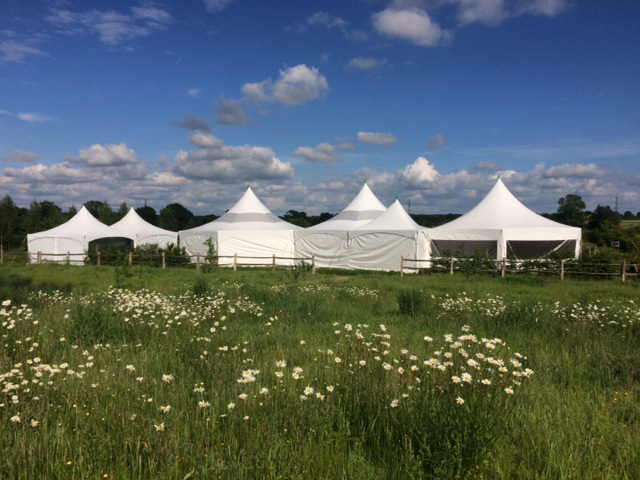 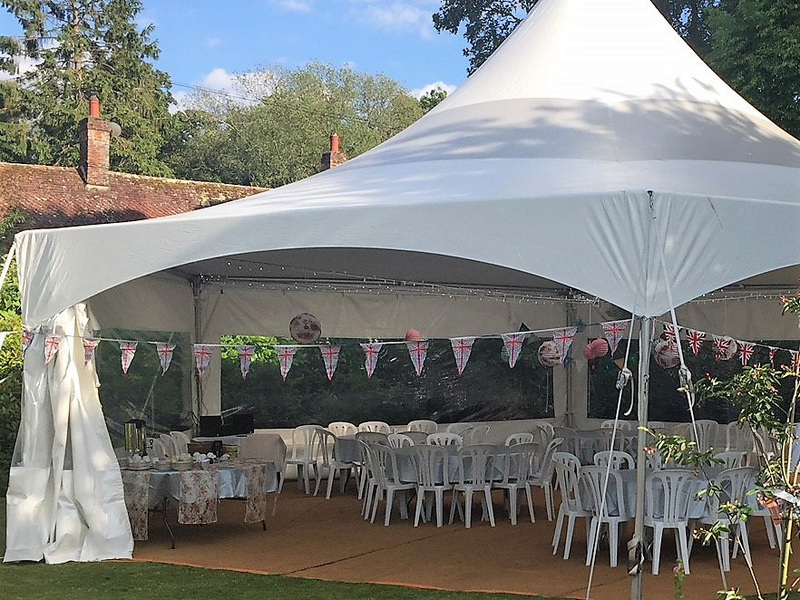 All our Matrix and Capri marquees come with easily removable sides, they look wonderfully elegant open sided allowing guests to feel part of the outside location.